registration form and send it in today. Help the Festival - Donate Today! The featured highlight of the Festival is a tribute to the original Grand Prix races using the original 6.6 mile road course. Always a crowd pleaser, the Watkins Glen Grand Prix Tribute is designed to recreate the ambiance of the 1948-52 Watkins Glen street races. 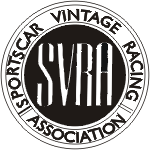 The race tribute is open to selected Sportscar Vintage Racing Association (SVRA) cars participating in the Hilliard U.S. Vintage Grand Prix races held at the nearby Watkins Glen International race course on the same weekend as the festival. 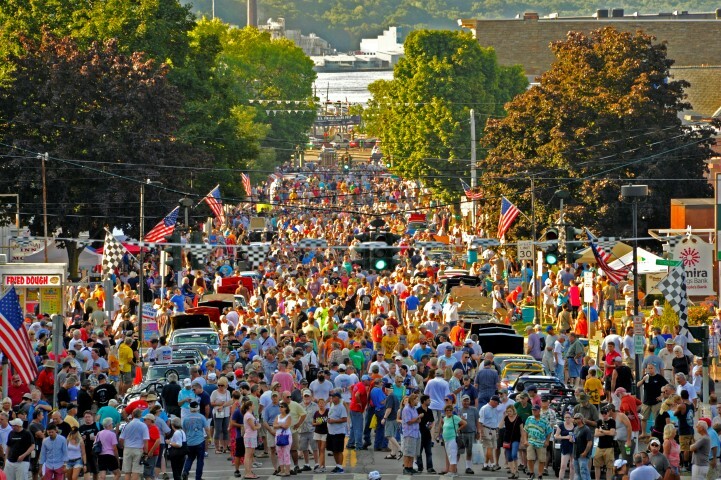 If you own a qualifying automobile and would also like to participate in the festival, you are not alone. Nearly twelve hundred festival attendees will choose to participate in the Festival by registering, as driver/navigator teams, in one of seven Stone Bridge Driver events. 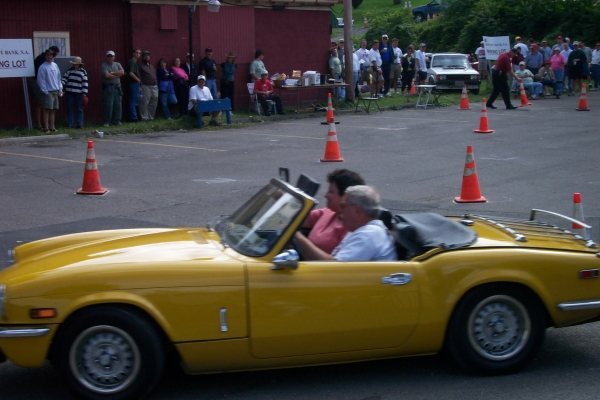 Each of the participants in these events share two things in common: a passion for driving classic sports cars and a desire to relive some of the excitement of driving on the original 6.6 mile circuit during the festival. Please Note: Only 650 eligible sports and/or classic cars may register for these events and the slots fill very quickly. 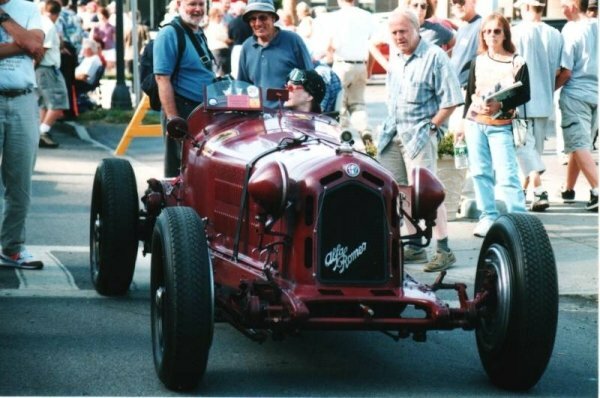 At the Grand Prix Festival of Watkins Glen, presented by Chemung Canal Trust, there is something for everyone! 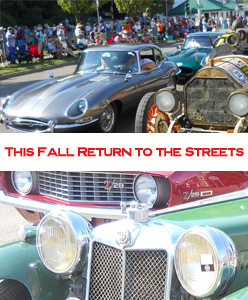 Parked along the main streets of the village you will find over 600 classic sports cars of all ages and marques for your enjoyment. 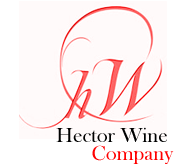 In addition to live music, wine tasting, food courts, and assorted other family activities, a variety of vendors of racing items and related Merchandise are provided for your entertainment and pleasure.